Taking its name from its unique location, the Vineyard Villa is tucked quietly amongst The Landing’s established vines. An entertainer’s haven or a romantic’s escape, the house sleeps six comfortably with two equal-status king bedrooms and a generous master suite. 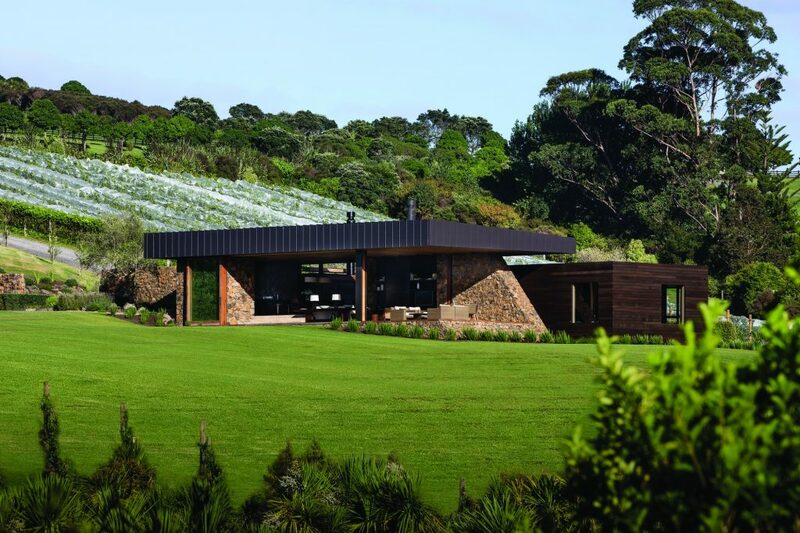 Enjoying expansive views over the wetland valley and out into Wairoa bay, it is perfectly arranged for a rural escape with a number of entertaining areas. 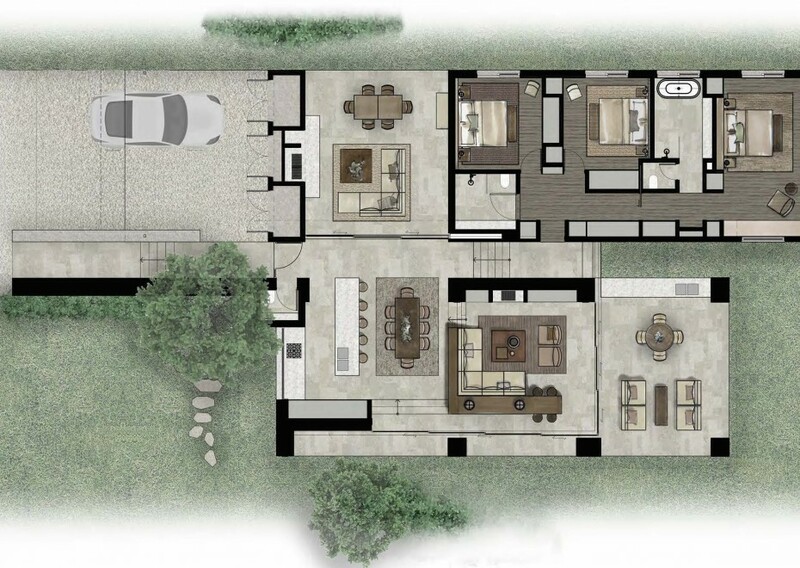 Inside, the living quarters are open yet intimate, to the front of the house, a covered terrace provides year-round outdoor dining, while a sheltered courtyard to the west offers sunset views and an inviting open-air fire. 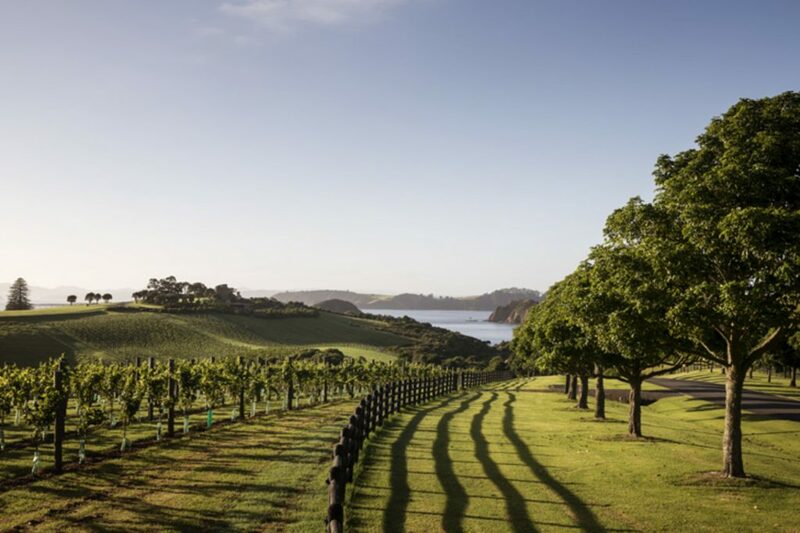 Surrounding the villa, a manicured lawn gently rolls into the vineyard, leading to walking trails that connect the property to the beach and beyond. 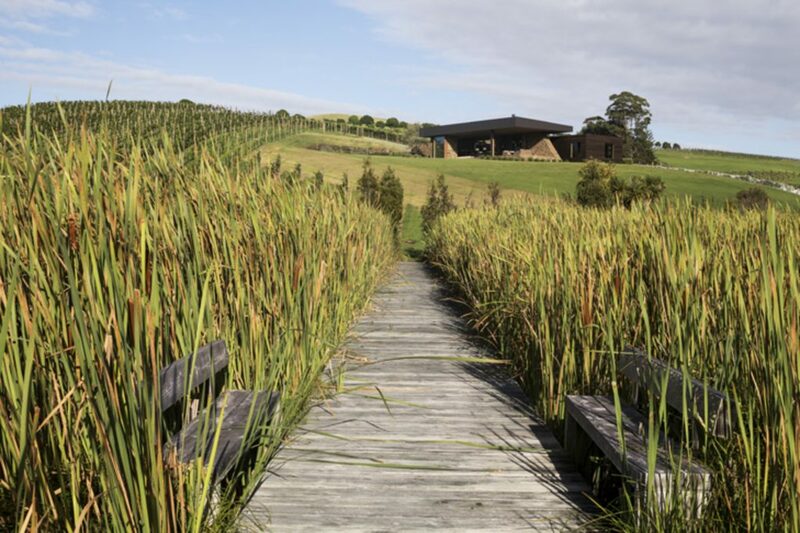 Guests are welcome to explore the land by weaving through native bush reserves, coastline, wetland areas and paddocks, taking in magnificent views and sites of natural and heritage significance along the way. 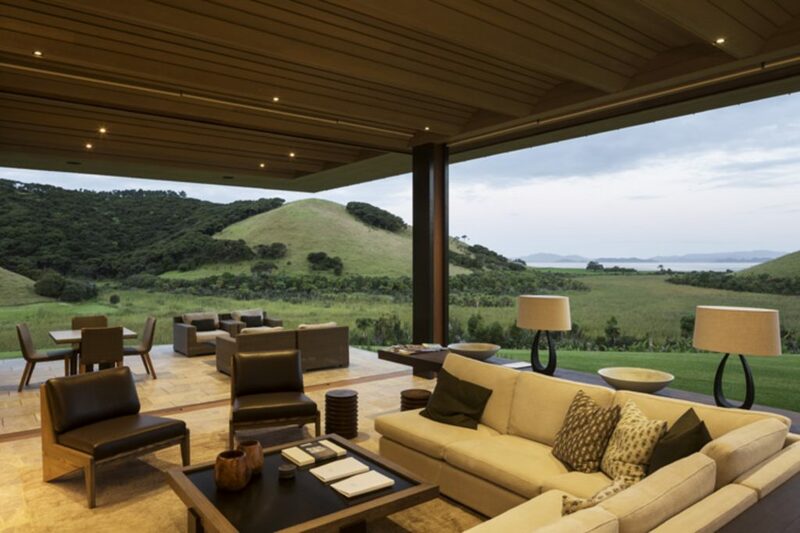 Designed by award-winning Nat Cheshire of Cheshire Architects, the Vineyard Villa is an exclusive sanctuary. On the seaward side, the open kitchen and generous living quarters soak in the morning sun. 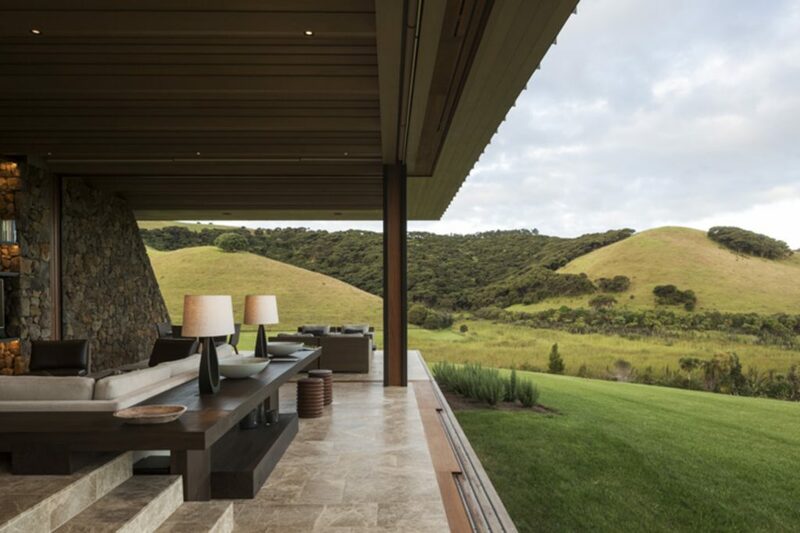 Glass walls slide away behind stonework to transform the entire pavilion into an outdoor room, a sheltered extension of its landscape. Nestled into the vineyard side, the bedroom suites are enfolded by warm timbers and soft plaster, offering an intimate escape. Understated modern furnishings have been carefully selected to match the villa’s calm aesthetic and work alongside the dark wood and stone materials that run throughout the house.